Compassionate counsel and knowledgeable legal guidance — these are just a few of the quality services extended to estate planning, probate, elder law and special needs family clients by the Kirtland & Seal, L.L.C., law firm in Colorado Springs, Colorado. 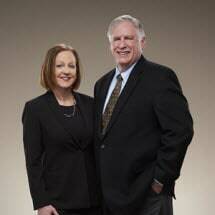 During their more than 40 years of combined experience, attorneys Michael Kirtland and Catherine Seal have consistently delivered effective, personalized representation that addresses the specific legal needs of every client, or the care of a client's senior loved one. We are not a document mill that seeks solutions through cookie-cutter, one-size-fits-all strategies. Every case is pursued through detailed analysis of a family's unique situation. These traditions of attentive advocacy and personal service are applied to practice areas of estate planning, estate administration, estate issues that impact clients with significant assets, mediation and litigation of will contests, the rights of special needs children and adults, and elder law concerns such as housing, eligibility and financial exploitation. For example, when a senior's desire for autonomy runs counter to the wishes of family members, our lawyers work hard toward an outcome that is amenable to all. If a courtroom is needed to resolve a dispute, we argue forcefully before judge and jury. Are you building an estate plan, exploring health care options for an elderly loved one, or located outside Colorado, seeking local representation for an elder law matter? We can help. Your first step toward peace of mind — for yourself, for your family — is an initial consultation at our Kirtland & Seal, L.L.C., law offices. We welcome your contact by phone or email message.